The first step to owning your job interview is how you prepare before you arrive. 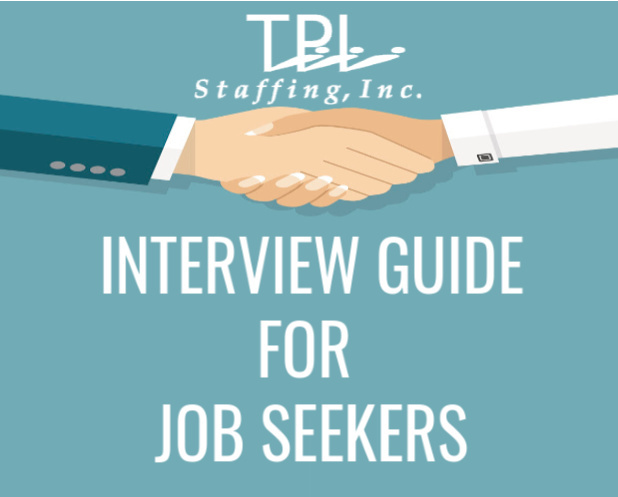 We're explaining what you should bring to a job interview, how to prepare beforehand, and how to follow-up with a potential employer. 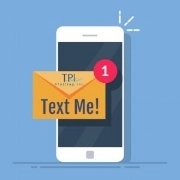 TPI Staffing's NEW Texting Feature! TPI Staffing knows there are times when you cannot talk, but texting is an option--so we introduce our NEW texting feature that let’s the recruiters keep in touch with you. 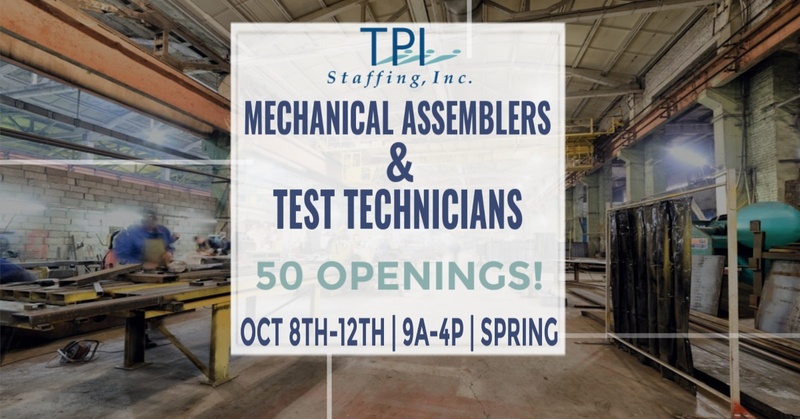 Hiring Event: Assemblers and Test Technicians NEEDED! Established by the American Staffing Association, National Staffing Employee Week honors the millions of temporary and contract employees working for U.S. staffing agencies each week. 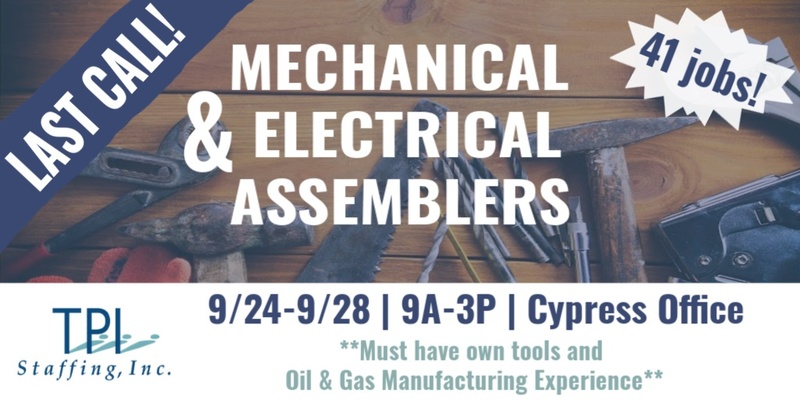 MEGA Assembler Hiring Event Week! 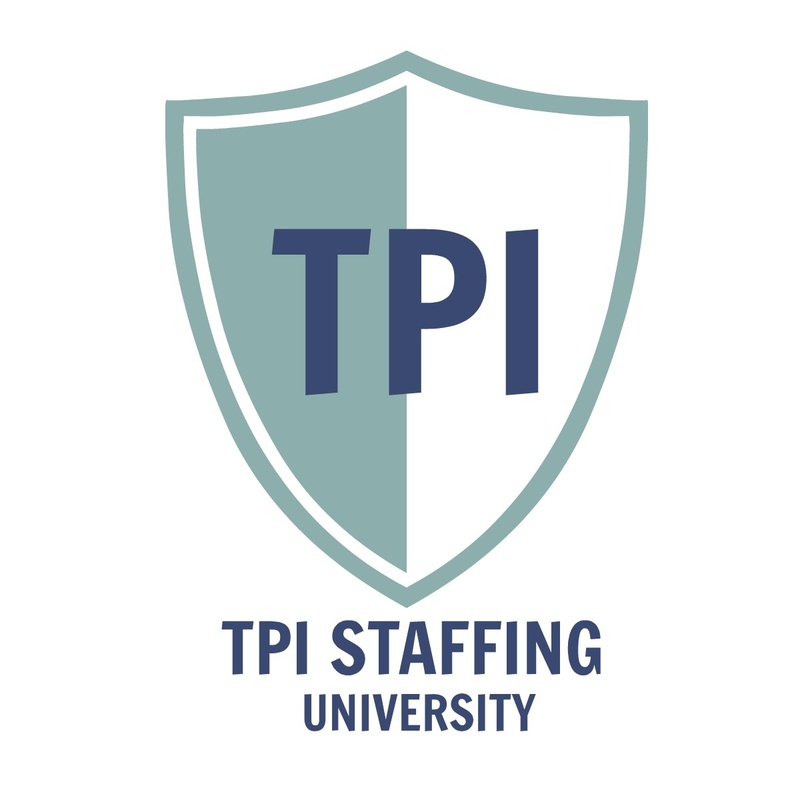 TPI Staffing is hosting an Assembler Job Fair Monday 9/24- Friday 9/28. Walk Ins welcome: 21840 Northwest Fwy, Suite E, Cypress, TX 77429. 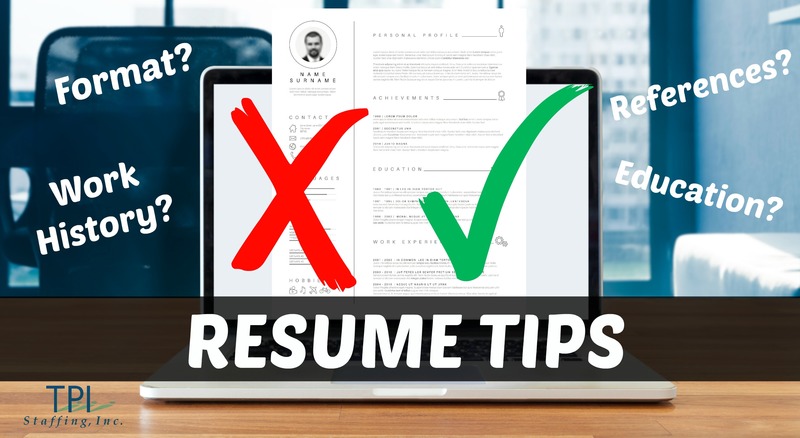 Bring updated resume and forms of ID. No appointment needed!